Holidays in Turkey are a match made in heaven and, no, we are not talking about the bird either. When you are looking to set a destination for your summer vacations, try looking at Turkey for a change. Places like Istanbul are quite popular already but if you are looking for a summer getaway that’s different from the regular cities and mountains you are looking for, then there are plenty of summer holiday locations that Turkey has to offer. There are regular hotspots, like Alanya, which are already quite popular amongst holiday-goers to this country. In Turkey holidays, however, can be cheaper and more exclusive if you look at bit deeper into what else the country has to offer. 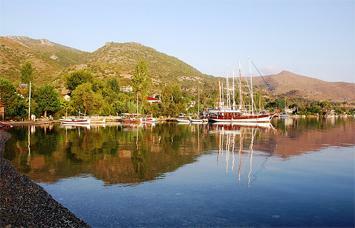 However, when you look towards something simpler, then Selimiye is something that catches your eye. 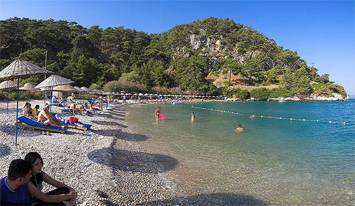 Selimiye isn’t what you call the average beach resort. In fact, it is quite far from what you would call a “resort”. There’s just one street running through the heart of this beautiful village and if you are looking for a cheap way of enjoying the countryside, then this is one place you cannot miss. The days can be spend lazing on the beach while meal times are all about walking up or down that street and looking for a place to eat. You can, alternatively, choose to hire a kayak and head down to a restaurant if you’re feeling a bit more adventurous. It’s hard to believe that just an hour away, the bustling town of Marmaris has its roots, but none of that bustle seems to escape its boundaries. 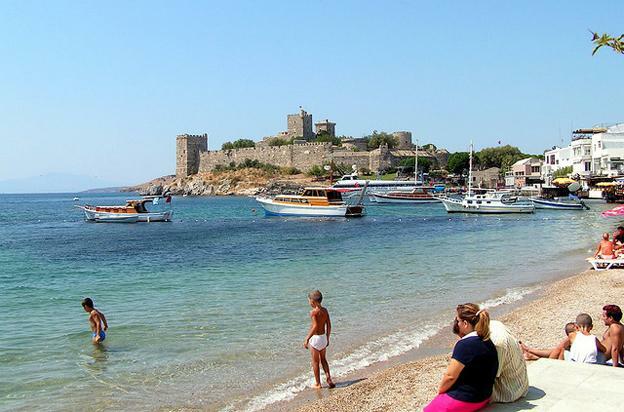 Bodrum, like Selimiye, is another town that enjoys the beautiful Turkish coastline. However, if you do get tired of dipping yourself into the majestic waters of the Aegean, then you can take time off to head into the inner parts of land. There are excursions towards the Lycian cities of Pinara and Tlos, set high in the mountains. These aren’t just easy on the eyes and your wallet, you will find yourself virtually alone in those beautiful places. Turkey is a country seeping in culture and with places like the Bodrum Castle and the site of the Mausoleum of Mausolus, one of the original Seven Wonders of the World. There are many other such historically significant locations, each of which speaks volumes of the massive empires that were a part of Turkey’s history. When picking a holiday destination in Turkey, try looking for locations that are frequented by local tourists, more than international. That always guarantees a cheaper trip, with hotels, restaurants and shops giving you the same taste of Turkish life but at significantly lower costs. A place like Akyaka will be extremely cheap although you might need to get in touch with a local travel operator to take advantage of these places. Try hiring one of those classic sightseeing tours, if at all you want to go on one. They are usually cheaper but their itinerary includes almost everything that you might want to see on your visits, even in cities like Istanbul. Summer in Turkey has a lot of hidden jewels for the tourist and if you know exactly what you are looking for, then you can turn your summer vacations into an unforgettable adventure of Sun, sand, great food and a whole lot of history. Having lived and worked, all his life, as a travel operator in Turkey, holidays are something of a speciality for Georghe. For over 21 years, he has worked from his small office in a corner of Istanbul, catering to those who want to see a side of Turkey that’s away from the night life and a bit more “off-beat”. Georghe spends his off-season looking for new destinations – places that are yet untouched by the glitz and glamour of tourists.